In what started off as a limited run near the company's headquarters in Washington, Costco has rolled out Apple Pay integration to all of its stores, reports CNET. Costco branded gas stations have yet to receive similar attention, though support is coming soon. "We've added additional mobile payment options to make your next visit more convenient," Costco said in a statement issued to MacRumors. "Costco members can now use Apple Pay, Google Wallet and Samsung Pay at U.S. Costco locations." With Apple Pay, shoppers will are able to tap-to-pay using their iPhone or Apple Watch. Holders of Costco-branded Citi cards, which also acts as a membership card, can process their payments through that bank's service. Costco is the latest expansion to a growing list of Apple Pay adoptees, with several other U.S. retail chains rolling out support later this year. Both longtime holdout CVS and 7-Eleven were announced during Apple's quarterly results in July. Germany will also be getting Apple Pay by year's end. Beyond brick-and-mortar stores, Apple Pay Cash peer-to-peer payments has been growing in popularity. 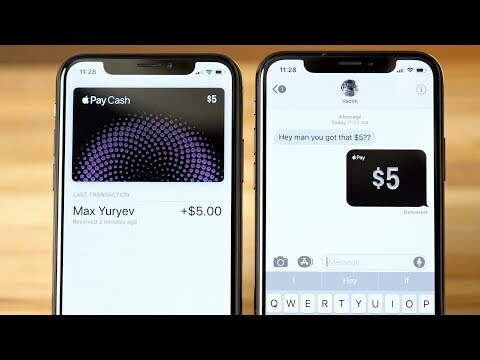 Consumer Reports recently crowned Apple Pay the winner in a head to head showdown of mobile peer-to-peer payment platforms, beating out the likes of Venmo and Square. This is all good news for Apple, which has seen its Services division, in which Apple Pay is lumped, continue to significantly increase revenue. Services saw growth of 31-percent during the third quarter of 2018, with revenue of $9.5 billion. Costco Canada still doesn’t have it for credit as their MasterCard company (Capital One) doesn’t support Apple Pay. So I won’t get their MasterCard. Some stores accept Apple Pay via debit though but not all. This is huge. Does it work for all Visa branded credit cards, regardless of Costco issued or not? I use a non-Costco branded Visa when I shop already, so I expect it will work. Tried it today with my Apple Watch and had an authorization error. Still may be some bugs. Yes. The Costco employee told me it will work with any debit card and any Visa branded credit cards. I would say it’s easier now to pay with the city card just touch the screen with your card.. that if you have the credit card from them.. but if you only have the membership with no credit card from them it’s easier Apple Pay! Will I still have to hand the cashier my credit card/member card so they can scan the member number? If so, I can't get very excited because I'll still need to pull out the credit card. Maybe with NFC enabled, I can just use the NFC chip on my card to pay instead. I feel like we are finally getting to a tipping point with merchant adoption. I wonder how many lost sales she created. I used my Meriwest CU Visa in ny Apple Pay at Costco last week. Worked perfectly. The problem: a woman in front of me still used the physical check. That pissed me off! Of course, you must still prove you’re a Costco member so you’ll have to show them your Costco card. I shop at Costco all the time. This is great! Now put it on gas pumps!! I did notice they’ve updated all their pump terminals. It’ll be coming soon. In the UK the Costco has been accepting AP for months, without limit. Also of interest, Aldi has removed the £30 limit for AP transactions only - they accept GP but it is still restricted to the same £30 that the physical card contactless has imposed due to security issues. Is this only Apple Pay or all NFC payments? But you have to pull out that card while I just put my Apple Watch near the screen and done before you have your card out of your wallet, and then you still have to put it back. Clearly, you didn't bother to read the whole thing.